Chances are if you’ve ever applied for a sales role, or are planning to, you’ll have come across this question. 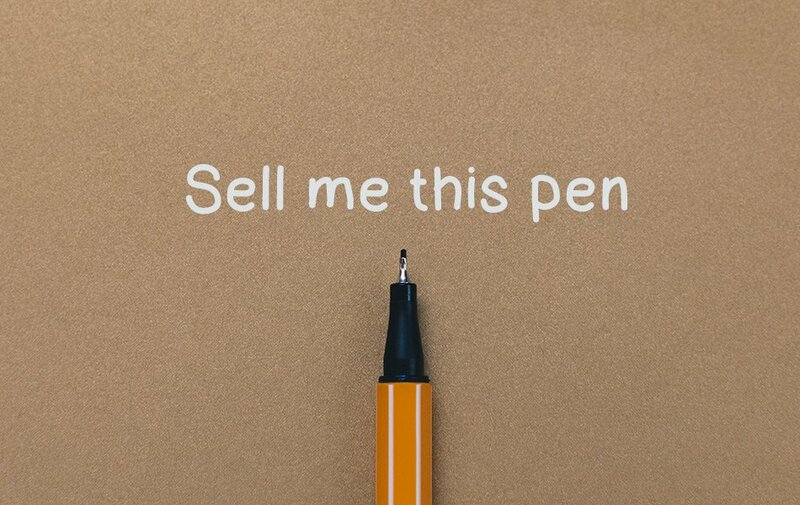 “Sell me this pen” is the interview question perhaps most-famous for being featured in the film Wolf of Wall Street. It’s an age-old question, but often comes as a surprise and is always difficult to answer. Unless you’re prepared. That’s where Barnsley College come in. We’ve scoured the internet for advice from experts in sales to find out just how to answer this dreaded interview question. Asking you to sell the pen or whatever is in front of you, on the spot, not only tests your ability to think under pressure, articulate yourself and think quickly, but also your approach to sales in general. Jordan Belfort, the stockbroker whose life the Wolf of Wall Street film is based on, has admitted that it is a trick question, but it still helps to make a distinction between an amateur and a real sales talent. How do you go about answering it? You need to sell the item, not as a commodity, but as a necessity. The best salespeople, according to Monster.com, do this by asking lots of questions. “The real answer is, before I’m even going to sell a pen to anybody, I need to know about the person, I want to know what their needs are, what kind of pens do they use, do they use a pen? How often do they use a pen? Do they like to use a pen formally, to sign things, or use it in their everyday life? The first idea is that when you say ‘Sell me this pen,’ I want to hear [the salesman] ask me a question,” says Belfort. Know when to give up – there’s no point in just pushing someone who really isn’t going to buy something until they get annoyed. But you can get them to help you.